After the National Futures Association (NFA) announced that it is taking emergency action against R2 Capital Group LLC. due to discovered accounting irregularities with the commodity pool operator back in December last year, the Commodity Futures Trading Commission (CFTC) today issued an announcement that it’s charging R2 Capital Group LLC. and its owners, Ryan Tomazin, Ryan Madigan, Randell A.Vest, RAST Investor Group, LLC, Madigan Enterprises, Inc., and Bulletproof Vest, Inc. with fraud and misappropriation. Chief Judge Marcia S. Krieger, of the U.S. District Court for the District of Colorado, has issued a restraining Order freezing the assets of Defendants Ryan Tomazin of Stamford, Connecticut, Ryan Madigan of Raleigh, North Carolina and Randell A. Vest of Fort Myers, Florida. The restraining Order was a follow up to the court’s August 7, 2014 restraining Order, which froze the assets of defendants’ RAST Investor Group, LLC, Madigan Enterprises, Inc. and Bulletproof Vest, Inc., all controlled by Tomazin, Madigan and Vest as holding companies alongside the Colorado-based company, R2 Capital Group LLC (R2 Capital). 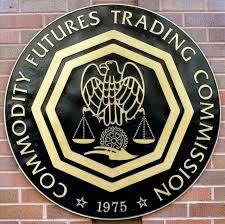 The CFTC filed for enforcement action in the beginning of August, charging the defendants with futures and forex fraud and misappropriation alongside illegal commingling of funds which were received from pool participants. The defendants allegedly transferred pool participant funds directly into their personal bank accounts, the holding companies’ accounts and to R2 Capital. According to the CFTC complaint, since at least December 2009 through to the present, R2 Capital — owned and operated by Tomazin, Madigan and Vest and their respective holding companies — allegedly solicited more than $2.4 million from at least four pool participants who invested in an investment pool operated by R2 Capital: R2 Commercial Capital Partners I L.P. (The Commercial Pool) which allegedly traded forex, and later, futures contracts, including E-mini S&P 500 futures contracts and E-mini Dow futures contracts, according to the Complaint. What happened next is the alleged closing of the forex account and the transfer of pool participants’ funds to a new account at a different Futures Commission Merchant, stating that the Commercial Pool was no longer trading forex, but instead E-mini S&P 500 futures and securities products. 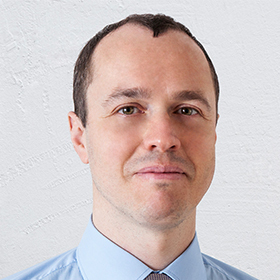 In addition, the Defendants allegedly misappropriated more than $1.2 million of pool funds by routinely illegally diverting substantial sums from the R2 Capital and Commercial Pool bank accounts to themselves and their Defendant holding companies, until all but a few hundred dollars of the pool participant funds were dissipated. Defendants allegedly then spent these misappropriated funds on personal trips, private school tuition for their children, other investments, and miscellaneous personal expenses. Suspicions were raised, after according to an NFA’s review last year, R2 Capital failed to submit records that revealed client funds as well as trading performance of two funds they managed. The NFA also found that despite listing their location in New York, activity is also taking place in Florida and in Colorado. In its findings, customers were estimated to have deposited $2.4 million in a managed pool with R2 Capital between 2010 and 2011. The CFTC concluded its announcement with appreciation of the assistance received from the National Futures Association. CFTC Division of Enforcement staff members responsible for this case are Sophia Siddiqui, Ken Koh, Dmitriy Vilenskiy, Luke Marsh and Paul Hayeck.